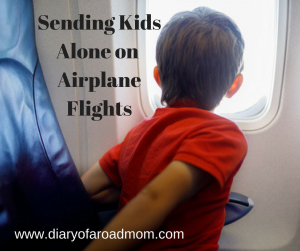 Sending your kid on an airplane alone? 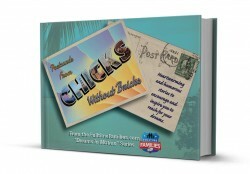 The thought probably seems like a foreign idea for families new to fulltime RVing. Why in the world would this ever come up when the RV lifestyle provides so much travel flexibility? You would be surprised. There are many reasons a child might need to travel alone on an airplane. Maybe they are visiting grandparents in another state, or perhaps they have friends back “home” to connect with. Orthodontics on the road requires a special commitment that may also require airline flights for an easier transition. Traveling on airline flights without parents is a fairly common occurrence. It can be stressful for everyone, though, especially the first time. There are steps you can take to make the situation easier for both you and your roadschooler. Before sending your child on an airline flight alone, contact the potential airlines and ask them what their policies are in regards to unaccompanied children. Some airlines may have better customer service than others, so choose one that puts your mind at ease. Most airlines allow for children to travel alone, and even have the staff to act as buddies and helpers to them, on the ground and in the air. Find out what their specific policies are, and who will be assisting your child as they travel. Your child will feel more comfortable with the situation if you have gone over it in detail with them. Talk to your kiddo about what exactly will happen, who to ask for help, and how to contact you if necessary. It can be a little nerve-wracking for everyone the first time, but it eventually becomes easier as time goes on. It may even give your roadschooler a different perspective on his or her independence. Your child will likely become hungry while flying and will need snacks. Choose foods that store well at room temperature and that provide him with energy to sustain him through the flight. Things like sandwiches, granola bars, nuts, dried fruit and string cheese are good options. Always send more than you think is needed, in case of an unforeseen event that causes him to be on board longer than expected. Beverages will often be confiscated when your child goes through security, so send some cash so he can buy himself a bottle of water for the flight. An airplane trip can become boring for someone of any age, but especially a child on a long flight. Send lots of age-appropriate activities for your child. This may sound like a crazy thought in the world of digital entertainment. But, you will want to send a variety of things to do, such as coloring sheets, crayons, journals, game consoles, a device to listen to music on, and earphones. Remember that more often than not, a majority of the time on an airplane will be spent without connection to the internet. Gasp! Arrange for your child to contact you immediately when he arrives at his destination. If he has a smartphone or any device to text from, it can generally be powered on as soon as the airplane lands and an announcement has been made. Also, ask the adult who picks up your child to contact you as soon as he is safe with them. Sometimes, the excitement of the arrival can delay the message of a safe arrival to a nervous mama’s heart. One of the most important things to remember when sending your child on an airplane alone is to be calm. A child traveling alone is a stressful situation for mom and dad, but many children do it often and without incident. As with many experiences, our kids are pretty resilient and handle themselves appropriately. It’s usually harder on mom than anyone. Prepare your child, prepare yourself, and enjoy witnessing your child set out on their new adventure in the air. Mary Beth Goff is a solo homeschool mom who loves to have the wheels rolling under her family’s feet. Feeling the need to hit the road, she travels fulltime across the country with her children for the roadschool adventure of a lifetime. She strives to incorporate Mother Nature, National Parks, and out-of-the-way spots along the way. Her love of history has fueled many road trips including all of Laura Ingalls Wilder home places. Mary Beth’s passion is sharing the beauty and education offered by exploring America’s backyard. She is the creator of the educational website Road Trip Teacher, writer at Diary of a Road Mom, and co-host on Roadschool Moms radio.